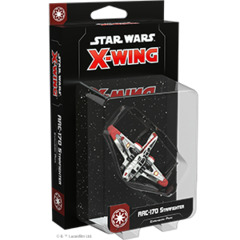 From its first appearance, blasting its way out of Mos Eisley spaceport in A New Hope to its triumphant arrival at the Battle of Crait in The Last Jedi, the Millennium Falcon has been an iconic part of the Star Wars saga, transporting us and our heroes to many of the fantastic worlds of a galaxy far, far away. 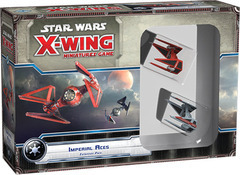 But long before Han Solo owned the Millennium Falcon and made his own brand of special modifications to the ship, it belonged to infamous gambler and smuggler Lando Calrissian. 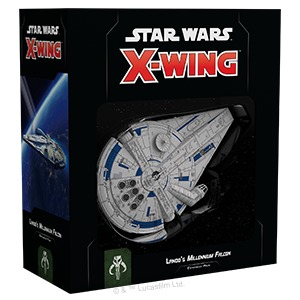 With the Lando's Millennium Falcon Expansion Pack, you can relive these exploits while adding this iconic ship to your Scum and Villainy squadron. 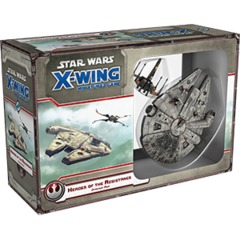 The Landos Millennium Falcon Expansion Pack contains a fully-assembled, pre-painted customized YT-1300 light freighter miniature, including a detachable Escape Craft miniature that can be piloted as a separate ship. 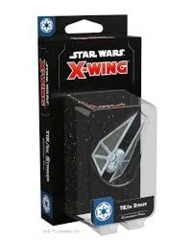 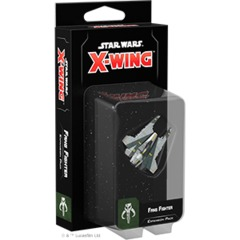 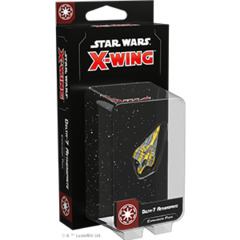 In addition to these miniatures, youll find eight ship cards featuring classic characters like Han Solo alongside new faces like the droid revolutionary L3-37, as well as thirteen upgrade cards to further customize your version of the Falcon or your other second edition ships. 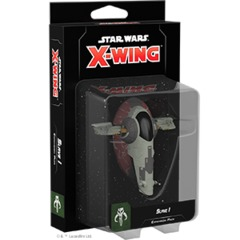 Rounding out the pack are all the tokens, bases, and maneuver dials you need to add the Falcon and its Escape Craft to your squadron.